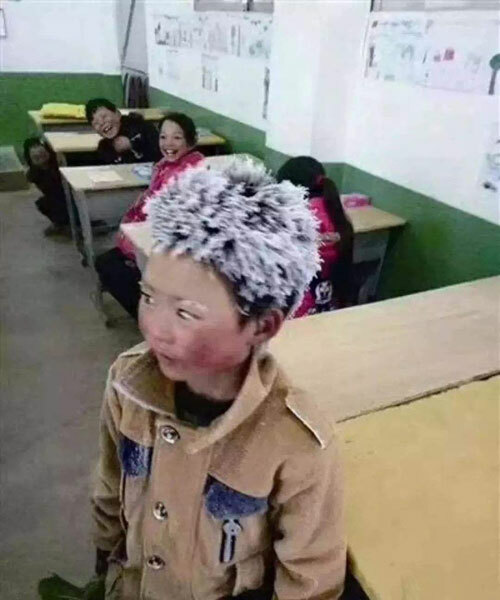 A child from a poverty-stricken, mountainous part of southwestern China who gained online fame last year as the "snowflake boy" has moved into a new house and is embracing a new life. The family received donations from all over the country after Fuman became an internet sensation. He and his sister visited Beijing last winter at the invitation of People's Public Security University of China, with the trip organized by China Construction Third Engineering Bureau. Even though family members underwent trials last year, Wang said his son hasn't been too much affected. "Fuman performs well in school and is currently preparing for his final exam," Wang said. "His classmates are all treating him as well as usual." "I appreciate those warmhearted people who helped us," the Grade 4 student said. "I will study hard and go out of the mountains on my own to repay them." His father added: "I contact him and other family members every week by phone, and he also shares his school life with me. Fuman and his sister often talk about how wonderful Beijing is, so I still need to work harder to offer my children a good life, even though many warmhearted people have given us a lot of help." Kunming is more than 400 kilometers from Ludian, and Wang returned home only three times last year. His next visit is scheduled for next month's Spring Festival. 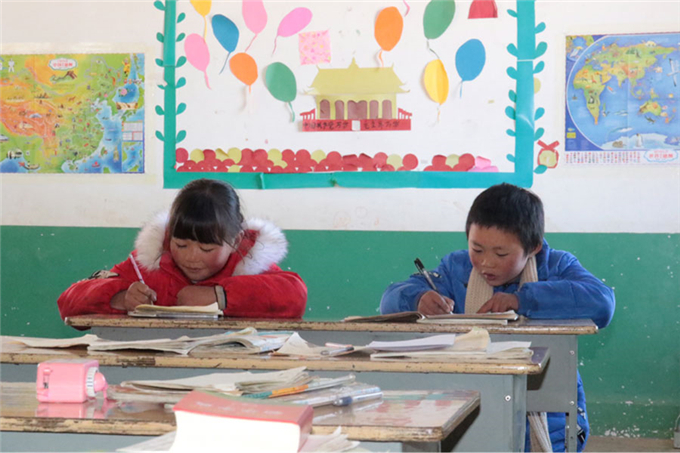 Heating equipment was installed last year in the school's classrooms and new dormitories, with the help of the local government and outside donations. Fuman and more than 70 other students stay in the new dormitories four nights a week to avoid early morning walks to school in freezing temperatures. "My son goes to school every Monday, and leaves school on Friday," Wang said. "The school also covers his living expenses, so I feel reassured about his school life." Fu said society's warm response had let the students experience the beauty of the world, and many now want to venture out of the mountains. "The seed of a dream has been planted," he said. "We have full expectations for the future."